Return to our current website, or go back to the previous page. The Lefkowitz award is a legacy created by the late Ben Lefkowitz. 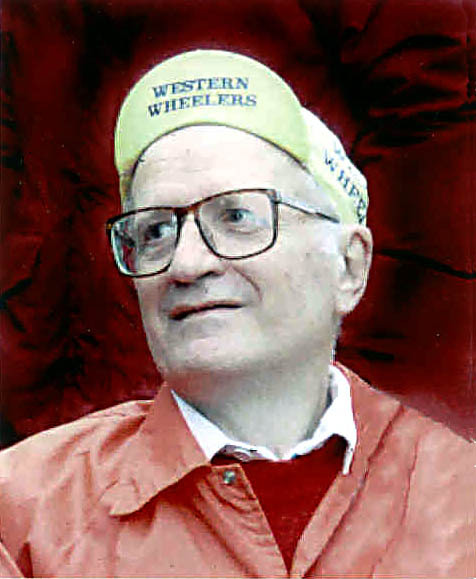 Ben was a very active member of Western Wheelers and a strong bicycle advocate. In his recognition, the city of Palo Alto named the Undercrossing of 101 at Adobe Creek (boundary of Palo Alto Baylands and Shoreline Park near East Meadow Drive) after him. Ben gave $5,000 in 1989 asking that proceeds from the funds be awarded each year to a deserving bicycle advocate in the Bay Area. Following are the awards that have been made. Copyright © 1995-2019 Western Wheelers Bicycle Club, Inc.